The government inflicted ‘great misery’ on the public through a decade of austerity, according to the UN’s Special Rapporteur on Extreme Poverty and Human Rights, as part of an unprecedented investigation into poverty in the UK. Professor Phillip Alston’s visit had raised hopes for campaigners that a ‘wake-up call’ over the severity of poverty in the UK was forthcoming, with almost every week revealing more of the ‘persistent’ poverty that is becoming pervasive across British society: 4.5 million children in poverty, 300,000 homeless, well over 10 million living in poverty. In his interim report, delivered this afternoon, Alston has delivered a strongly-worded warning over the UK government’s policies – criticising them as “punitive, mean-spirited and callous”, with Universal Credit coming under fire as ‘gratuitous, cruel and counter-productive’. While acknowledging the “good outcomes” achieved in certain areas by successive governments, he criticised the “great misery [that] has also been inflicted unnecessarily” – with particular concern for “the working poor, […] single mothers struggling against mighty odds, [and] people with disabilities who are already marginalised”. Does The UK Want To End Poverty? His speech began in praise of the UK’s capacity and status, saying: “The UK is the world’s fifth largest economy, it contains many areas of immense wealth, its capital is a leading centre of global finance, its entrepreneurs are innovative and agile. 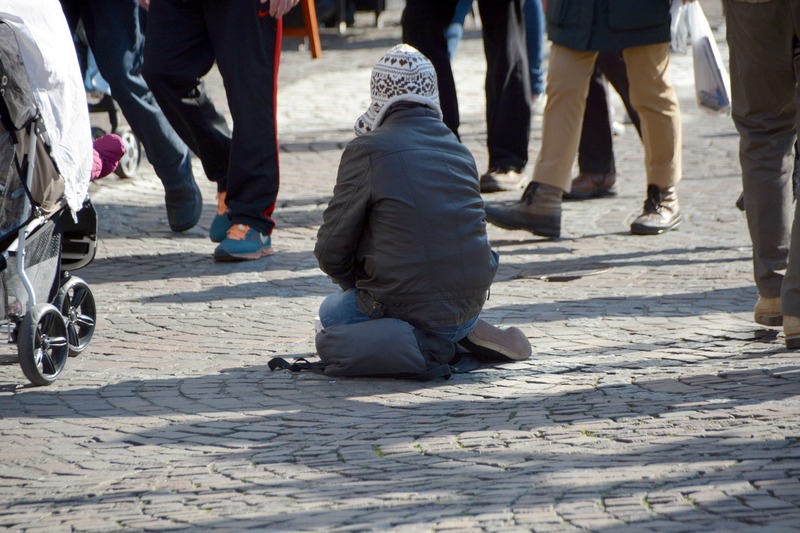 A report by the Social Metric Commission released last month found 14.2 million people are living in poverty in the UK – including 1.4 million pension-age adults. Twelve per cent of the UK population is reported to have been living beneath the breadline constantly, for more than four years. He listed a number of issues facing the country, detailing the scale of poverty across the country, and its disproportionate effects on certain groups, with the impact of Universal Credit on single-parent families coming in for particular criticism. Alston also drew attention to a “dismantling” of the social safety net, occurring across many key areas – benefit reductions, legal aid, cuts to local authorities, and cuts to services, including transport.
.@Alston_UNSR on #Poverty in the #UK: There is a really remarkable gender dimension of many of the reforms. If you had got a group of misogynists in a room, they wouldn't have come up with too many more ideas that what's in place. “The UK could end poverty if it wanted to. But it’s quite clear from the evidence and the policies that the UK doesn’t want to,” he added. The UK government is yet to respond to Professor Alston’s criticisms. Featured image via Flickr / Flickr. A report says the regime leaves single parents, care leavers and people with a disability "disproportionately vulnerable."